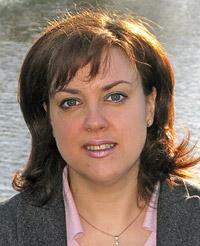 Professor Roberta d'Alessandro - An Italian academic with a deep love of her native region, Abruzzo. Dr. Roberta d'Alessandro has been professor of Italian Language and Culture at Leiden University, the oldest university in the Netherlands, since 2007. She is an expert in Romance languages and linguistics. Roberta was born in Abruzzo, a region of central Italy with Lazio to the west and the Adriatic Sea bordering it on the east. The name of the region may be derived from the Latin Praetutium, the land of Praetutii, a phoenician people who founded the first village near today's Teramo. Abruzzo is sparsely populated and has a rich flora and fauna. It has the highest peaks in Italy outside the Alps where saffron - the 'red gold of Abruzzo' - , one of the most expensive spices in the world is grown. This is the land of the Abruzzo chamois, deer, foxes, Alpine marmots, golden eagles, the Maremma sheepdog, wolves and the orso marsicano (the Marsican bear). The latter two are the symbol of Abruzzo. Abruzzo is called the green region of Europe, and has three natural parks (Parco nazionale d'Abruzzo, Parco nazionale del Gran Sasso e della Majella e Parco nazionale del Sirente). The oldest and most famous man in Abruzzo is Il Guerriero di Capestrano, the warrior of Capestrano (photo right). The statue of the warrior, kept in the Abruzzo National Museum of Archaeology in Chieti, has become the symbol of the region. This tall limestone representation of a Picene warrior dates from around the 6th century BC. It was discovered accidentally in 1934 by a farm labourer ploughing a field near the town of Capestrano. The statue still retains traces of pink paint and features a hat with a very wide brim and disk-shaped armour protecting the chest and back. The warrior is armed with a short sword, knife and axe. He also wears a protective garment known to the Greeks as a miltra ( a short apron covering the back), a wide belt, a necklace and armlets. The Italian diplomat and journalist Primo Levi described the inhabitants of Abruzzo as "forte e gentile" (strong and courteous); this has since become the motto of the region and its inhabitants. Roberta brings this motto in connection with the culture of saffron, a costly spice originally imported from Persia, in this locality. "Traders brought it to Abruzzo many centuries ago," she explains. "It was planted on the plains of Navelli, but half of the plants died because the climate was too cold. A process of natural selection led to the survival of the toughest, hardiest plants." This also tells us much about the strong character of the Abruzzan, who by their perseverance finally managed to raise a sturdy stock of saffron. The saffron we know in Abruzzo today is an important cash crop for the region, and bears very little resemblance to the original plants. Like the crop that means so much to them, and which they have helped to raise, the Abruzzans are a very strong, stubborn race." "Abruzzese is not a dialect, but an independent language, a sister language of Italian"
Like her fellow-Abruzzans Roberta D'Alessandro is "forte e gentile" too. By her present age of 41, she has built up a strong reputation as a researcher and dialectologist, though she prefers to call herself a syntactician. "I first of all want to understand how a dialect works, that's why I do research, " says Roberta, adding whith some pride, "Abruzzese is not an Italian dialect but a language in its own right, closely related to Italian, but with its own rules for word forms, its own syntactic rules, its own vocabulary and literature. It sounds a bit like Portuguese. Its linguistic rules differ strongly from those of Italian and of other Romance languages. That is why Abruzzese, though not yet officially recognised as a language in its own right, certainly deserves to be." 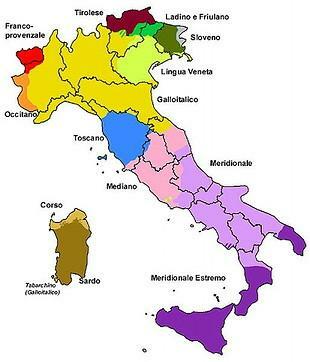 The dialects spoken in Italy may be roughly divided into four groups: a northern, a central, a Tuscan and a southern group. The southern region may in turn be divided into "upper south" and "extreme south" dialects. Roberta D'Alessandro has a passionate nature like any Italian. She also has a gift for languages. She speaks Italian, Dutch, English, German, Spanish and Russian; she studied Russian for 4 years at university in Abruzzo and in Finland and Russia. She knows a little Finnish and speaks a little Catalan, which she is currently studying. She also has a reasonable command of Abruzzese and Moisan (which resemble one another very closely). 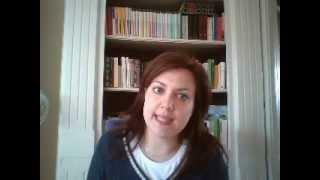 Roberta is more than a dialect expert, she is a dialect fanatic. Her love of language developed unconsciously when as a young girl she heard her grandmother speak the traditional form of Abruzzese, while her parents already spoke a more modern version of the dialect. Dialects change: the Abruzzese spoken by her parents was strongly affected by Italian influences from radio and TV, while the Abruzzese spoken by young people now has shifted even further from the traditional variants. Besides, the boundaries of a dialect are difficult to define: different versions of a dialect can be found in neighbouring villages in a given region or province. The greater the distance between the villages, the more the dialects spoken there can vary. The existence of regional and local dialect dictionaries is prompted not only by a love of the dialects in question but also by a wish to preserve dialects that are threatened with extinction so that they can be passed on to future generations. Many dialects are still spoken in Italy, especially in rural areas. There is a particularly large difference between the northern and southern dialects. Roberta focuses mainly on the southern Italian dialects, though she has also studied some northern and central Italian dialects. "The southern dialects are at particularly high risk of extinction; that is why I am doing my best to analyse and document them. These studies are supported by the EU. The dialects of the south of Italy are not highly regarded. Many southern Italians are ashamed to speak the dialect, and may be discriminated against for this reason. Northern dialects have a much better reputation, because 'the North is where the money is and people are proud of speaking dialect. People from the south of Italy who settle in the north pick up the local dialect quickly, but the reverse does not happen." (Source: Interview with Roberta D'Alessandro by Mathilde Jansen, www.kennislink.nl). Learning Latin was child's play: "It was like a game to me"
When Roberta was 9 or 10, she sat in on Latin classes that her mother gave at home to secondary school pupils. She soon found she was one of the best in the group. "We lived in a little village by the sea called Arielli," she tells. "I was still very young, but I loved languages even then. I was not really part of the group my mother was teaching, but I learned the Latin faster because it all seemed very natural to me. We translated from Latin into Italian and from Italian into Latin. It was like a game to me. I really enjoyed it. Besides, my father was an employee who also worked as a journalist and had studied languages in Florence, so I grew up surrounded by books and languages." When she went to secondary school, she continued her Latin studies and also learned Greek for two years. She was also introduced to physics at this stage, and she studied this subject at the University of L'Aquila, alongside Russian, English and linguistics. "It is a beautiful thing that Italy remembers me"
Before graduating from the University of L'Aquila, she spent a year in Finland. After graduation she moved to Germany (Stuttgart). where she got her doctorate in Linguistics. She then worked for a while in Microsoft's Natural Language Processing group before moving to Cambridge with a research grant to work on Italian dialects. "I worked with Professor Adam Ledgeway there. He is a great dialectologist and I learned a lot from him." Roberta finally spent some time in a language laboratory in Canada before ending up in Leiden in 2007. Roberta D'Alessandro was made a Knight of the Order of the Star of Italy (Cavaliere dell'Ordine della Stella d'Italia) in 2014. This honour is awarded to Italians who have made an outstanding contribution to the preservation and promotion of Italy abroad. The order was bestowed by decree of the President of the Republic, Giorgio Napolitano, on the recommendation of the Italian Ambassador to the Netherlands, Francesco Azzarello, for her services to academic research, in particular her studies of Italian dialects in leading universities worldwide. She had no idea that she was in line for this distinction before she received the official announcement. 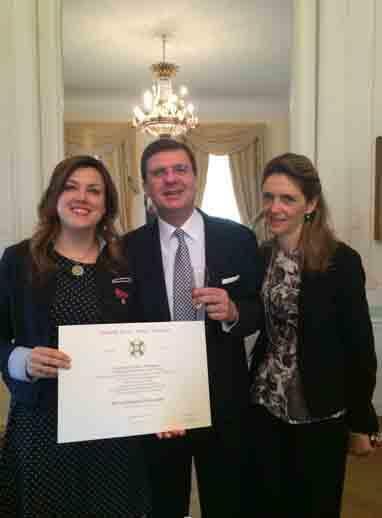 In his presentation speech, the Ambassador praised Roberta D'Alessandro as a first-class academic "of whom Italy can be proud". Roberta replied that it was a great surprise and a great honour for her: "È una cosa bella che l'Italia si ricordi di me." D'Alessandro is known for her fervent efforts to save rare languages, in particular Italian dialects, from extinction. "These dialects are of inestimable value for the study of Romance languages," she claims. Roberta D'Alessandro was recently awarded a Vidi grant for her research into southern Italian dialects, which she hopes will help to improve their status. But she also wants to learn more about the remarkable grammar and syntax of these languages. "All Romance languages have similar grammars," she explains. "But the southern Italian dialects I am studying are quite peculiar. They also have a lot in common with Romance languages, but they bear a closer resemblance to ergative languages (such as Basque, Georgian, Hindi, Urdu, Mayan languages and the aboriginal Australian languages) than to Italian and French as far as the grammar is concerned." One of the unusual features of ergative languages is that the way they deal with the subject of intransitive verbs like other languages deal with the object of transitive verbs. "Many European languages have a nominative-accusative system," Roberta clarifies "That means that the subject of a sentence is always given the nominative case, and the object the accusative case. In ergative languages, on the other hand, the subject of an intransitive verb is given the absolutive case, while the subject of a transitive verb receives the ergative case: speakers of such languages say the equivalent of 'I move her' and 'Her moves', for example. Southern Italian languages occupy an intermediate position between these two systems: sometimes they resemble the nominative-accusative system, and sometimes the ergative. That is pretty unique." Two other unusual features of Abruzzese are that the past participle of a transitive verb with a plural subject is also in the plural (unlike in the rest of the Romance languages), and the choice of auxiliary verbs. In many languages, the choice of auxiliary verb depends only on the following verb, but in other languages it can depend on other factors. In Eastern Abruzzese, the dialect spoken in the Eastern region of Abruzzo, for example, the choice of an auxiliary verb depends on the person of the main verb: the 1st and 2nd person always get the auxiliary "to be", while the 3rd person gets the auxiliary "to have". Combining these two principles, we find that the equivalent of "We have eaten the apple" in Abruzzese will be: "Seme magnite la mela" (we are eaten the apple - where "eaten" is in the plural form); translated into broken Italian, this becomes "Siamo mangiati la mela", while the correct Italian form is "Abbiamo mangiato la mela." This special way of selecting auxiliaries used to be found also in some other Romance languages, but has gradually disappeared. Precisely when and why this happened is one of the topics Roberta D'Alessandro wants to deal with in her study. She aims to compare the southern Italian dialects with languages spoken in other parts of the world that share the same features, and hopes to elucidate the underlying basis for their grammatical and syntactic rules. The University of Leiden plans to hold a meeting on Italian dialects in 2015. Chi capa cape, scapatura pije - "If you're too picky, you get the left-overs." Cende nijende a 'ccise l'asene - "A hundred nothings killed the donkey." Chi te' torte strille forte - "When you are in the wrong, you shout all the louder."